Seven stadiums are still undergoing construction ahead of the 2018 FIFA World Cup Russia ™ and are nearing completion, with the playing surface having already been laid on several. 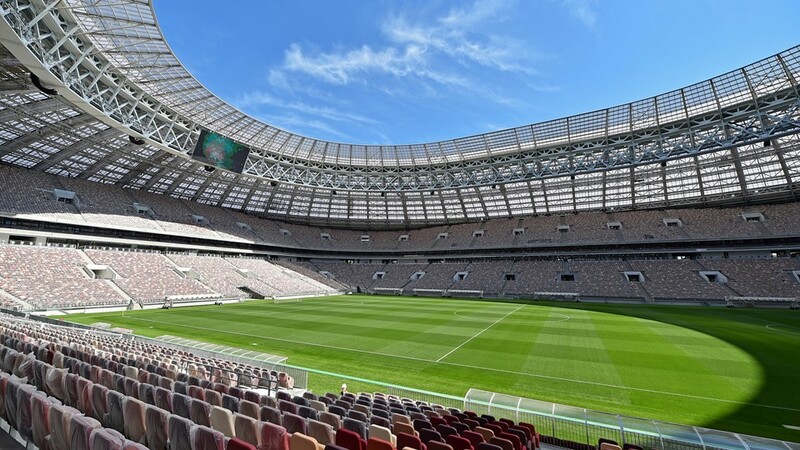 The remaining venues - the four that hosted the FIFA Confederations Cup, plus the Luzhniki Stadium in Moscow - are ready to welcome fans for top-level matches. 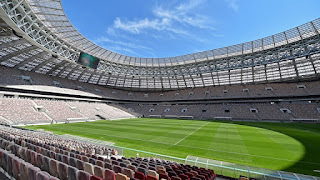 The pitch is being laid at the Ekaterinburg Arena, while the warmth of the grass is already flourishing at the Rostov Arena and the Nizhny Novgorod Stadium. The specialists at the Kaliningrad Stadium expect the seeds of the football pitch there next week, as all the preparations have been done. The metal framework, which weighs over 15,000 tonnes, of the westernmost venue at next year's World Cup has been completed as well. The head of the construction company in Ekaterinburg has confirmed that work has finished on the stadium's canopy. Workers at the Volgograd Arena construction site have raised the roof's tensile cable structure to its highest point: 49.5 meters. Now the roof's membrane covering, which measures 77,000 squared meters in total, is being erected at the venue, where four World Cup matches will be played. Things are progressing quickly in Saransk, where the internal and external utility networks of the Mordovia Arena are being built. The football pitch's technological equipment is also installed at the stadium, along with the lifts. In total, 1,496 people have been employed at the site. The main framework of the Samara Arena is almost finished: 95 of the 96 blocks making up the dome structure have been put in place. Preparations have started for the renovation of the area surrounding the facility, as the old radio center has been demolished and the spaces have been leveled.